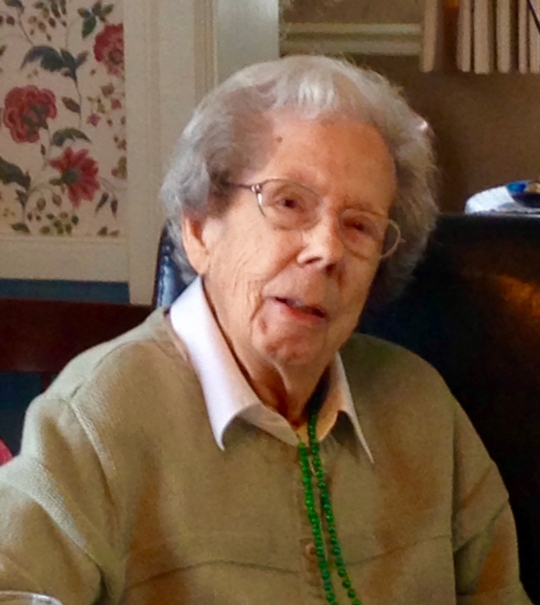 GODFREY —Eugenia K. Delano-Keller, 98, died 8:15 a.m. Sunday, August 13, 2017 at the United Methodist Village in Godfrey. Born March 3, 1919 in Jerseyville, she was the daughter of Fred W. and Louise (Klinefelter) Delano. She married Edward W. Keller on August 4, 1961. He preceded her in death on May 9, 2011. Mrs. Keller was a member of the First Presbyterian Church in Alton for over 70 years and worked for Delano Insurance Agency for 25 Years. She was a member of P.E.O. Chapter GG in Alton since 1951 and was also a member of the Upper Alton Women’s Club. She volunteered for the Alton Memorial Hospital, St. Anthony’s Hospital, Meals on Wheels and the Alton Museum of History and Art. She and Edward were especially interested in the Hayner Library Friends and Hayner Library Homebound Program and established the Edward and Genie Keller Scholarship Fund at Hayner Library. She is survived by two nephews, Fred Delano (Susan) of Alton, and John Delano (Linda) of Boston, one niece, Winnie Siegel (Gilbert) of Palo Alto, CA and many great nieces and nephews. Along with her parents and husband, she was preceded in death by a brother Jay R. Delano Sr., a sister, E. Louise Delano and a nephew, Jay R. Delano Jr. Visitation will be from 10:00 a.m. until time of memorial service at 11:00 a.m. Saturday, October 28, 2017 at the First Presbyterian Church in Alton. Reverend David Crowley will officiate. Memorials may be made to the Jay Reed Delano Jr. Scholarship Program c/o First Presbyterian Church or to Hayner Library Friends.